I was kindly sent some lovely Kiss false eye lashes to review! 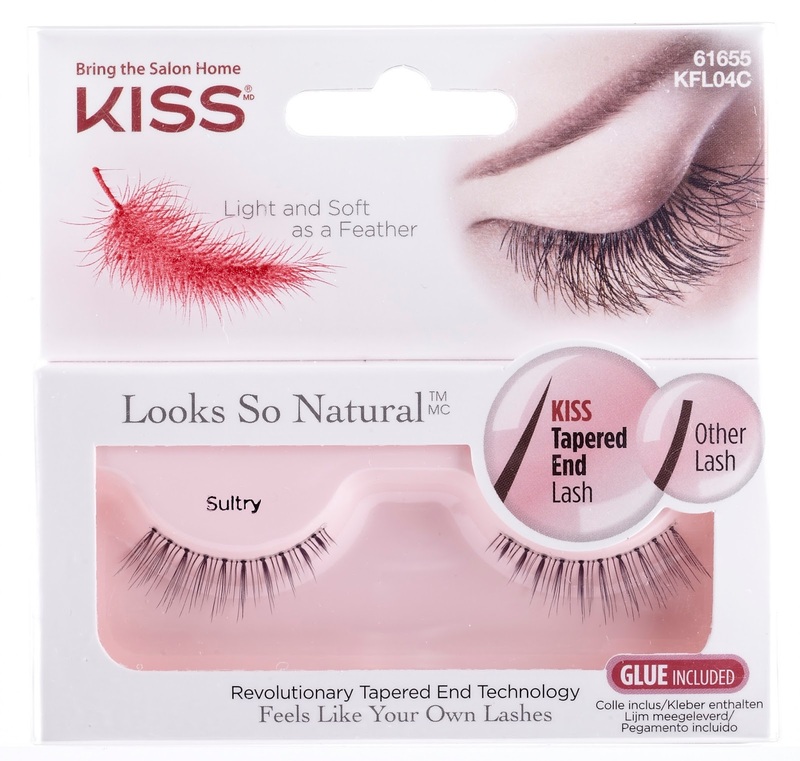 Kiss Natural Lashes in style Sultry are light and soft as a feather - they feature revolutionary tapered end technology for a flawless finish. 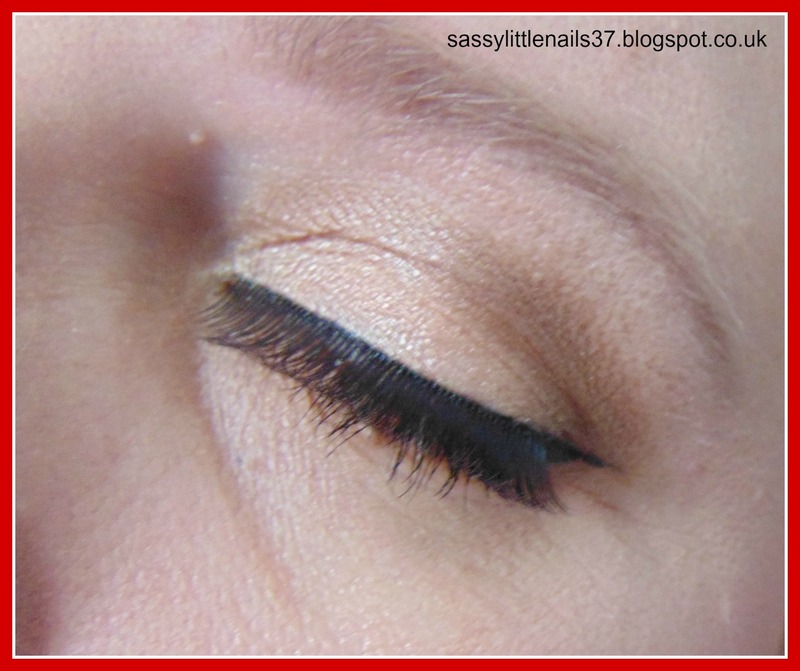 These super falsies look and feel just like your own lashes! I absolutely love these lashes! I will never buy expensive brands again! 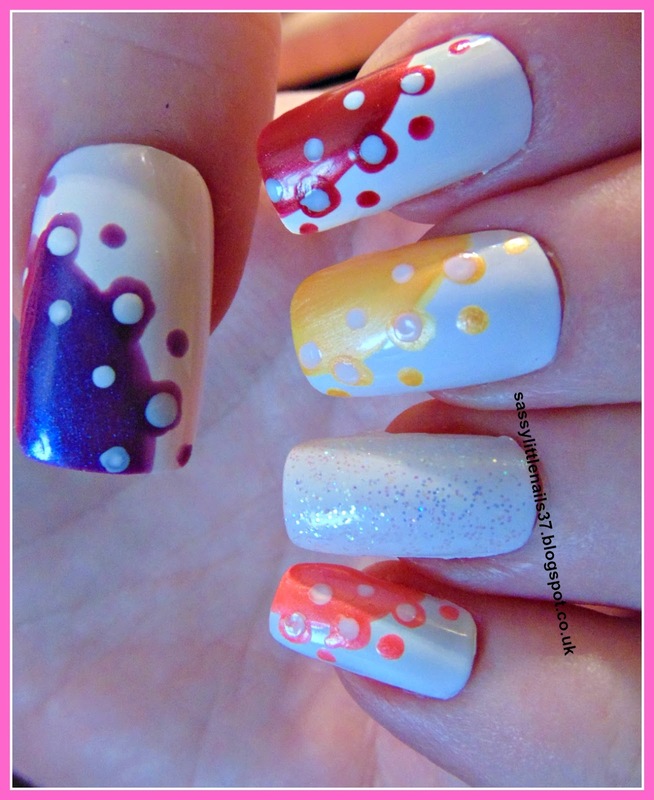 They are easy to apply and don't appear too heavy or irritating and these are perfect. 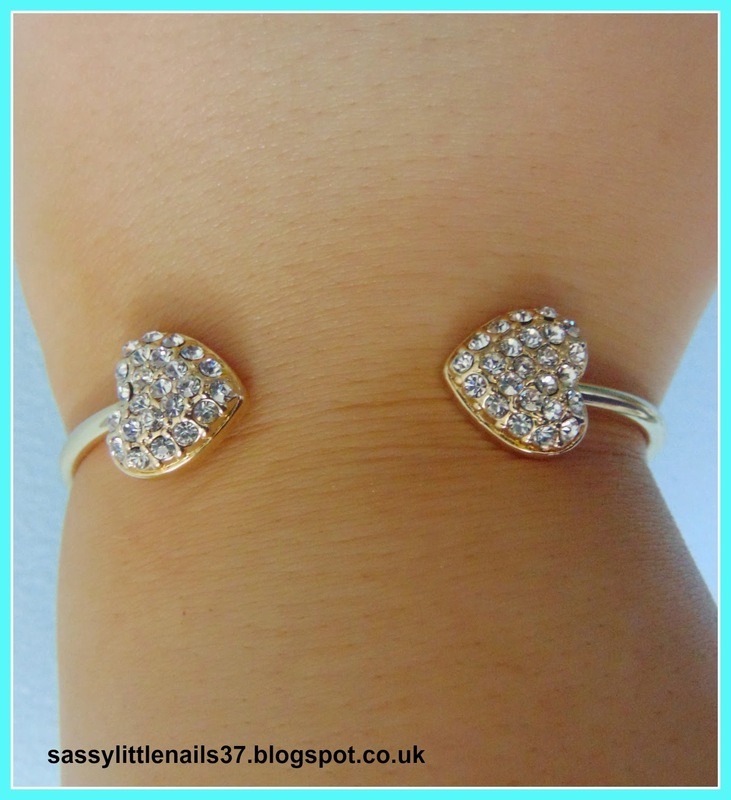 They're cheap, re-useable, look lovely on,They are super cute and and very natural looking. 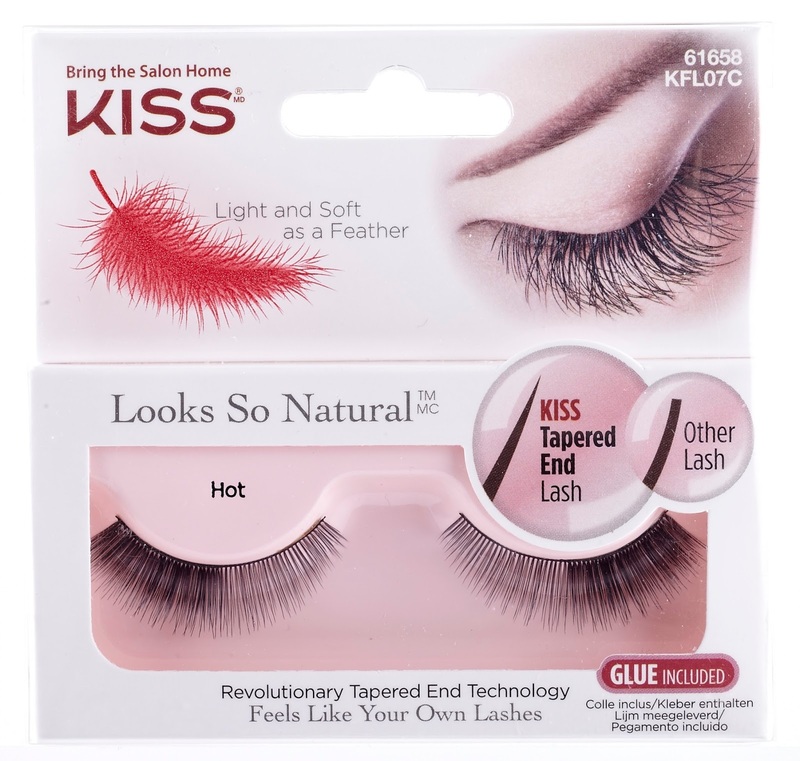 Kiss Natural Lashes in style Hot are ideal for everyday wear - or for use on special occasions. These super lashes are easy to apply and remove, and they can be reused if taken off carefully after wear. 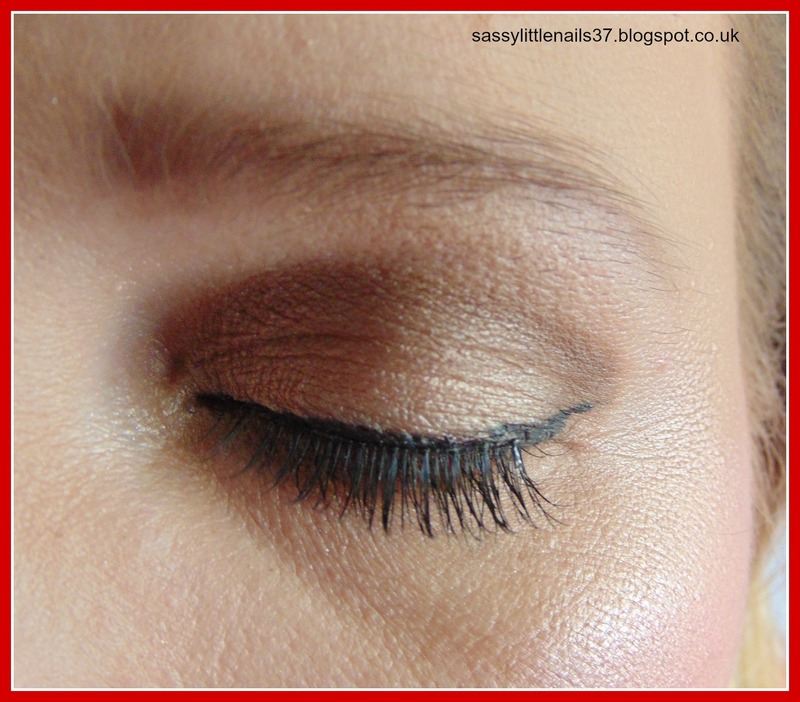 Great lashes, again very easy to apply using the glue provided and they are very light to wear. They are long, but not massively thick so they don't look too thick like some false eyelashes, in fact they do indeed look quite natural. Really impressed with them, Everyone commented on how lovely they looked! Thanks to Chesca for sending the lashes for review. You can find Kiss lashes by clicking HERE. I have more posts coming up! I hope you all well and good? 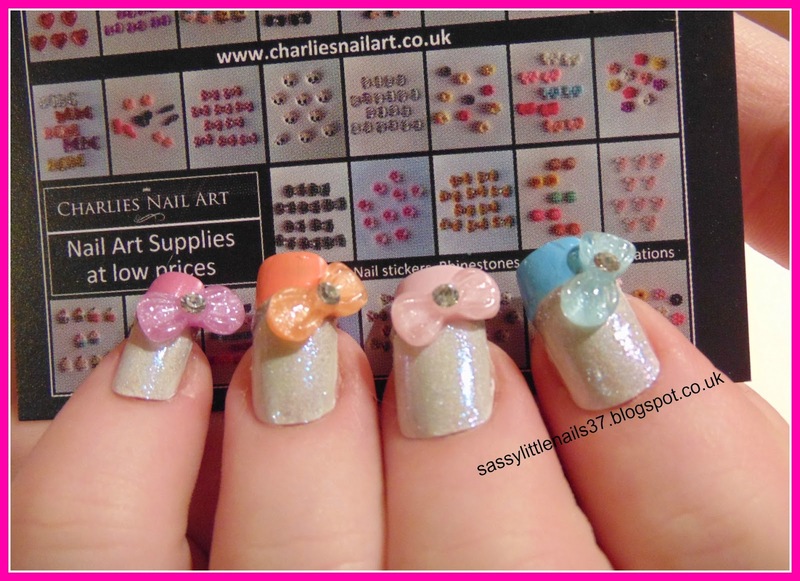 I have another quick review for you from Charlies nailart online. 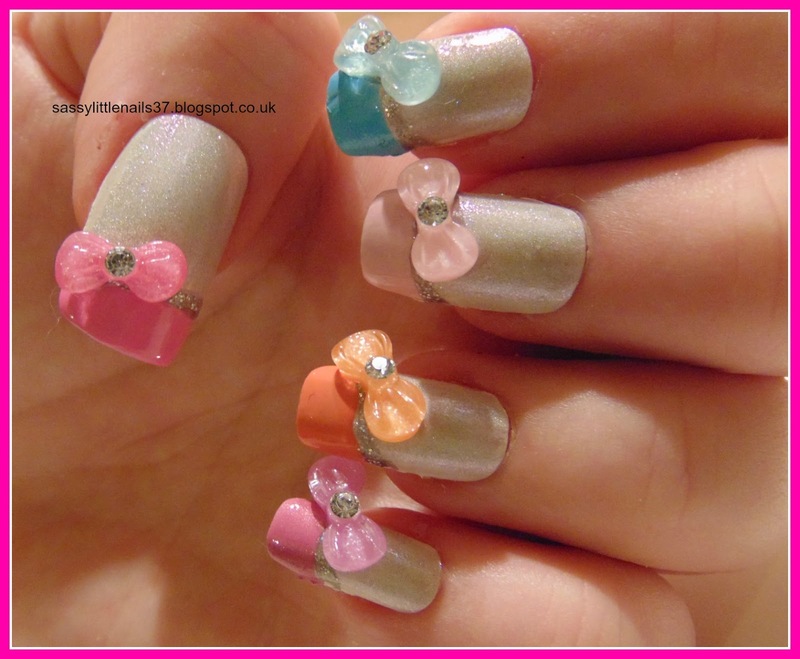 I was sent some cute nailart bows to review in different colours. 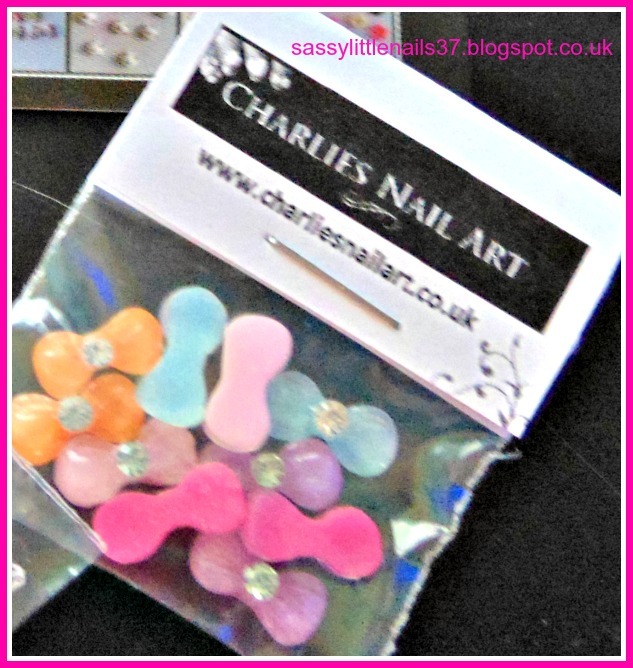 You can find more nailart items by clicking HERE A huge thanks to Charlie for sending me the bows for review. I have more posts coming up shortly. I was meant to post this yesterday but I had issues with my new camera it wasn't playing nice! 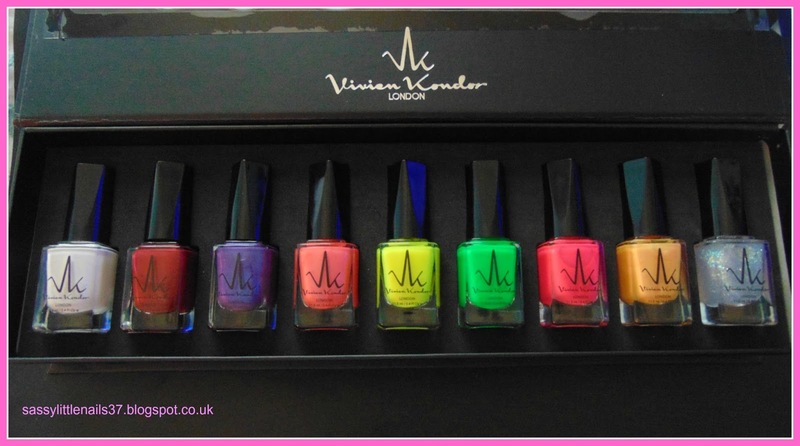 I was recently sent these beautiful polishes to review by Vivien Kondor London. Here is the names from left to right. Removal = very easy to remove and so was the Light glitter. It covers well with one coat and is true to colour. I am someone who does my nails often! And I am pretty picky when it comes to nail polish, but I LOVEEEEEEEE THIS! I can actually say that this may be my favorite brand of nail polish I have tried so far! 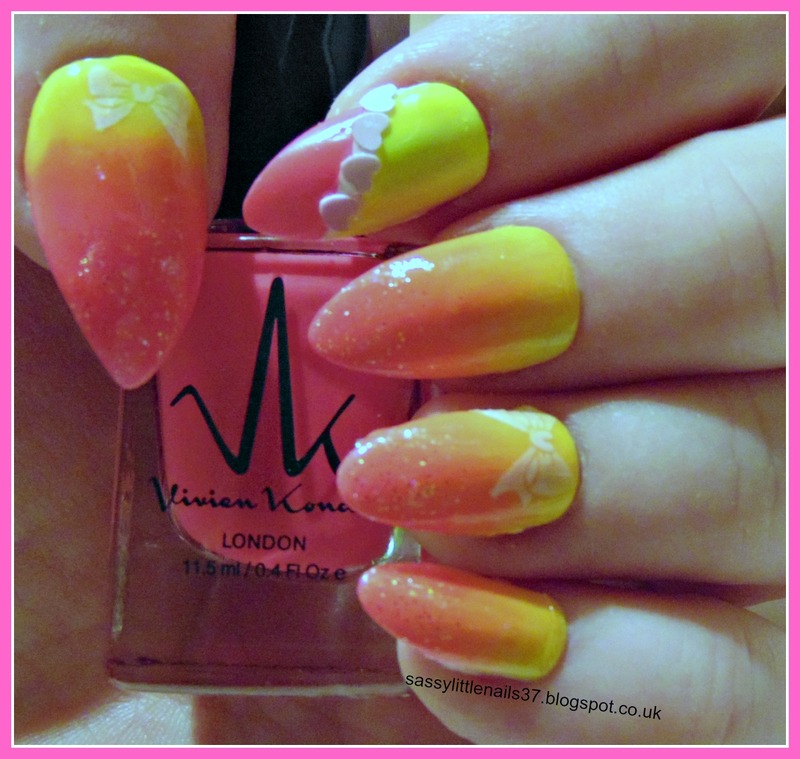 I used all the polishes sent for review to create these easy nailart designs above I hope you like them! 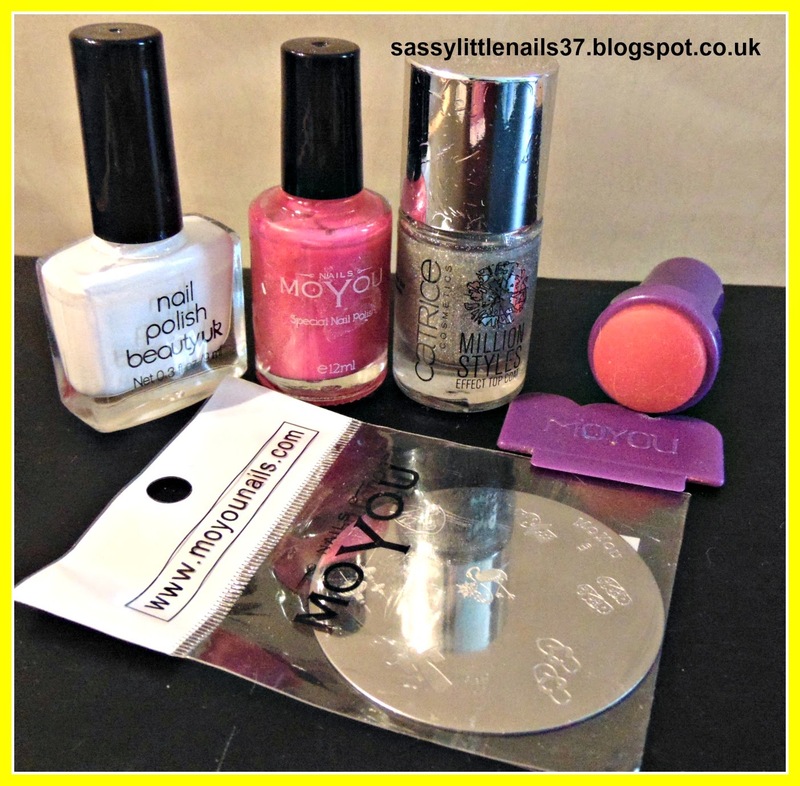 Huge thanks to Bethany for sending me these lovely polishes for review! I have been busy again this week but I am catching up on things regarding blogging! 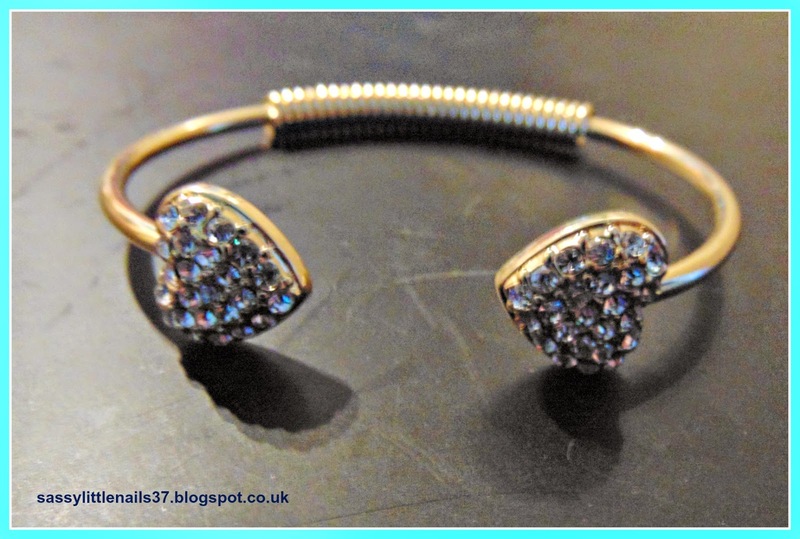 It is that time again for another products review No 5 from oceanic jewellers. I have a beautiful necklace and bracelet to show you! First up is the Necklace! 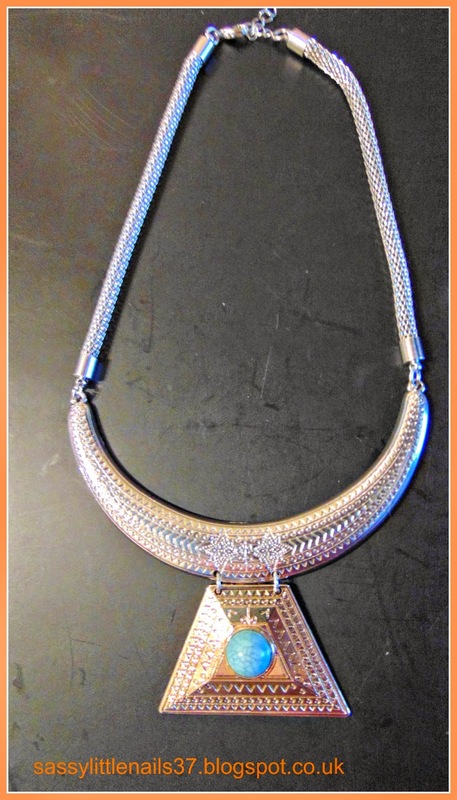 Bold meets beautiful in this knockout statement necklace. With its outrageously oversized gems it's a complete head-turner. I love the colours in the stones they match perfectly together perfect for day or evening wear.a great look for all seasons and a wearable glamour for all occasions. 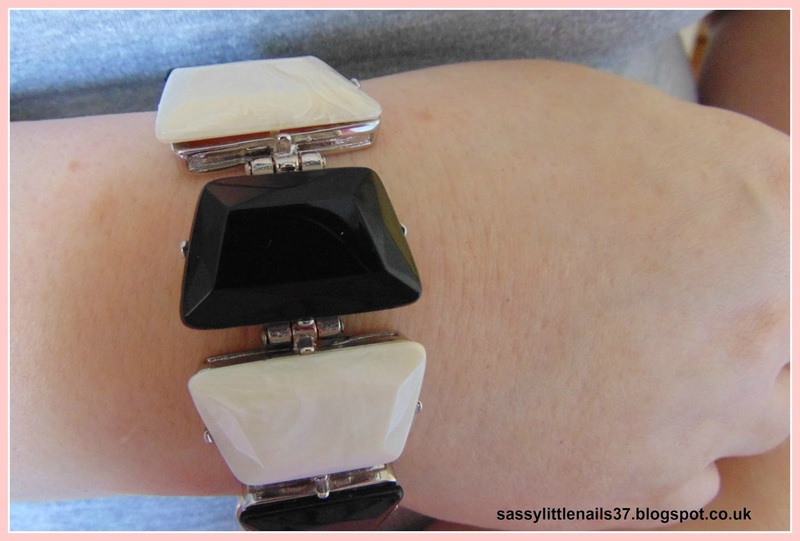 This is beautiful and fashionable black and pearl white acrylic stone silver tone metal cuff. Looks very trendy and fashionable. 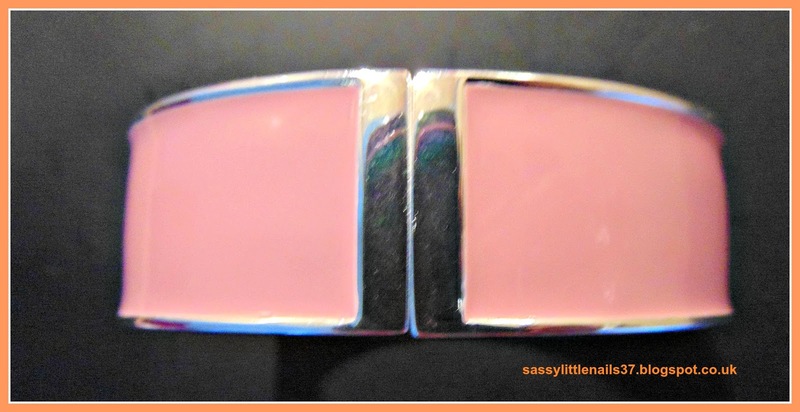 It is a lovely piece of jewelry which will add more style on your jewelry collection. the black, white stones creates a unique, feminine finish. Boasting the individual glamour this bracelet makes for a perfect finishing touch to any outfit. I have more posts coming up this weekend! I was sent these lovely items..Sorry this post is picture heavy! Moyou polish in California Orange. Moyou polish in Light Blue. Moyou polish in Atlantic Green. Moyou polish in Shocking Pink. 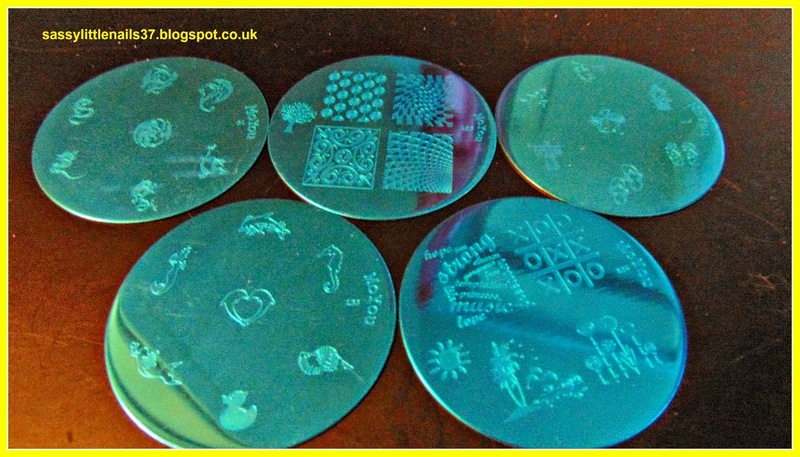 Stamping plates No 123. No 133. No 110. No 64. No 126. Removal = Easy to remove. 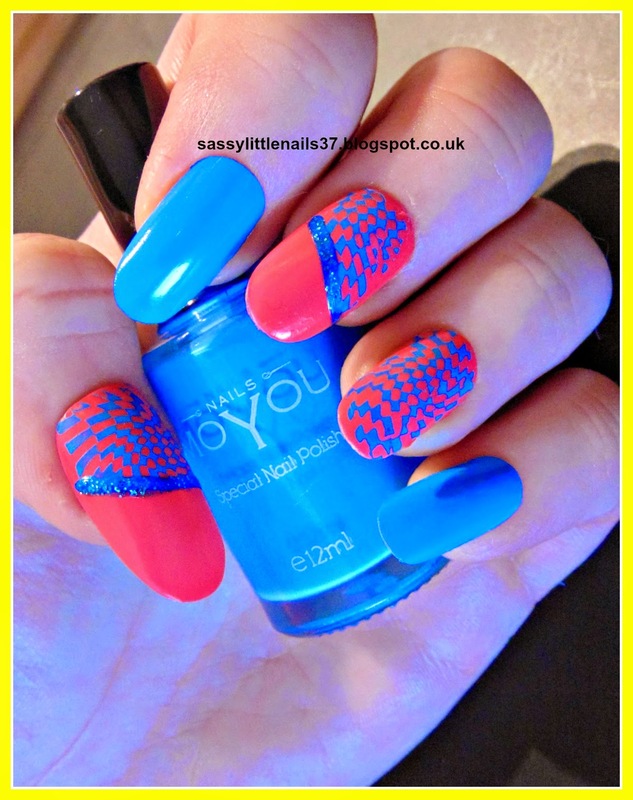 I also done some nailart with the use of the Moyou polishes and Stamping plates. 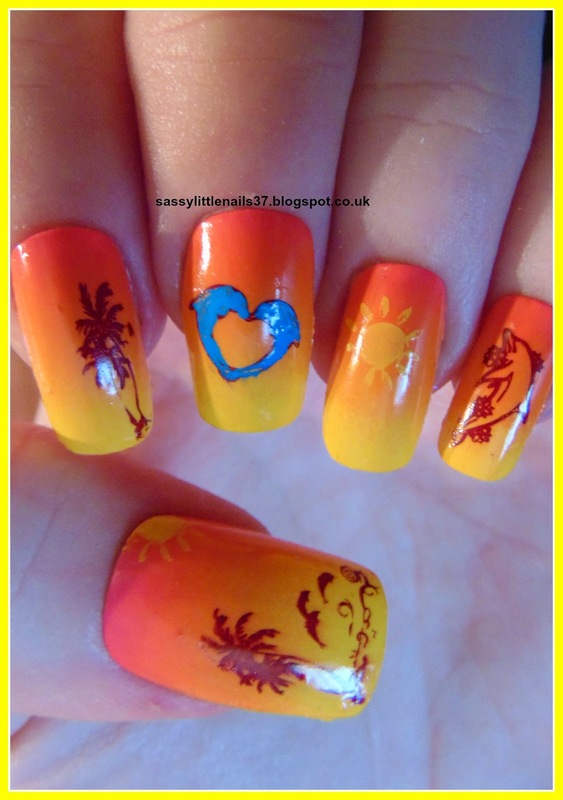 First nailart I done was this lovely gradient effect tropical design..
Moyou plates No 126 and No 133. 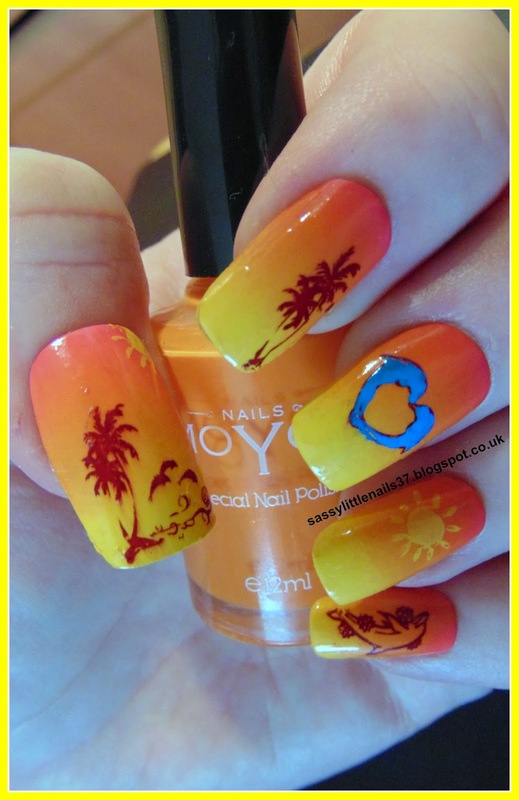 I gave the nails all 2 coats of the Yellow Moyou polish then when dry I used a makeup sponge and painted shocking pink and California orange and yellow polishes on to the sponge applied this to each nail and repeated this step about 4 times. 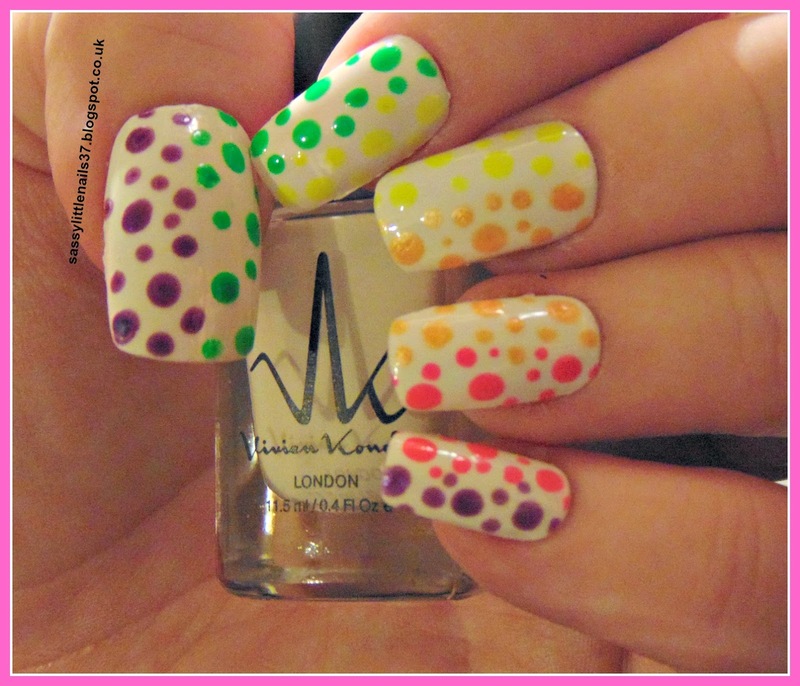 I then applied a top coat once fully dry I used the stamper to place the images on to each nail. I used the light blue to fill in the dolphins. 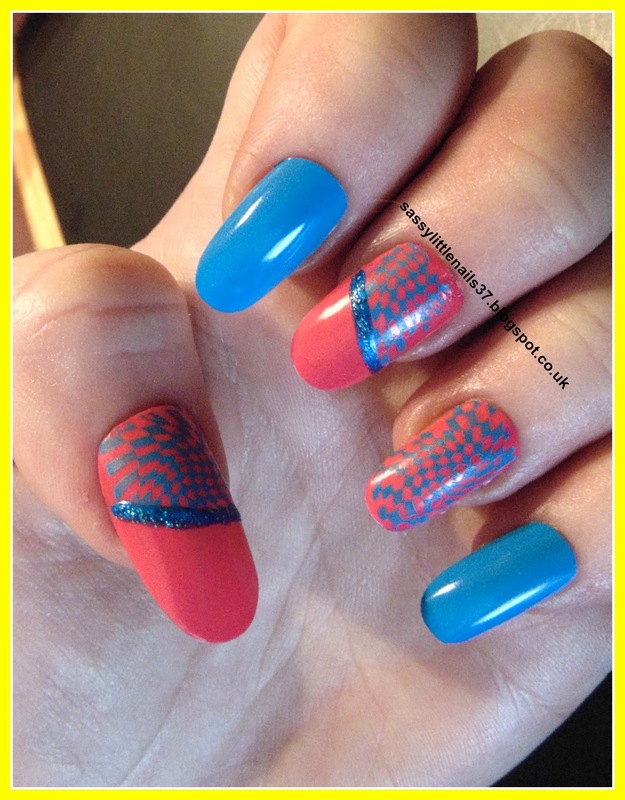 Next up is a cool pattern design nailart. 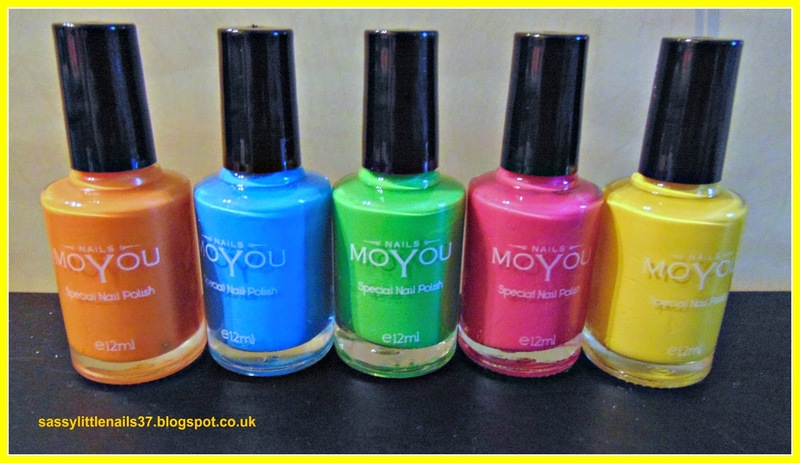 Shocking pink and light blue Moyou polishes. I painted 2 coats of shocking pink on to the thumb middle and ring finger. then painted the light blue on to the pointer finger and little finger. When fully dry I then took the stamper and stamped half the thumb and middle and full print on the ring finger. I then put a glitter line across the pattern and the pink. then it is done! 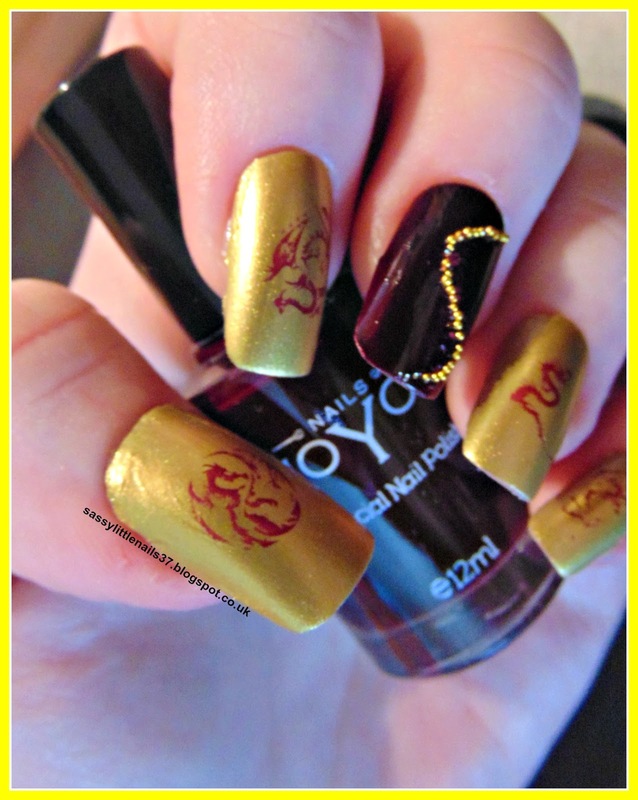 Next I have an Oriental design nailart for you with Dragons! 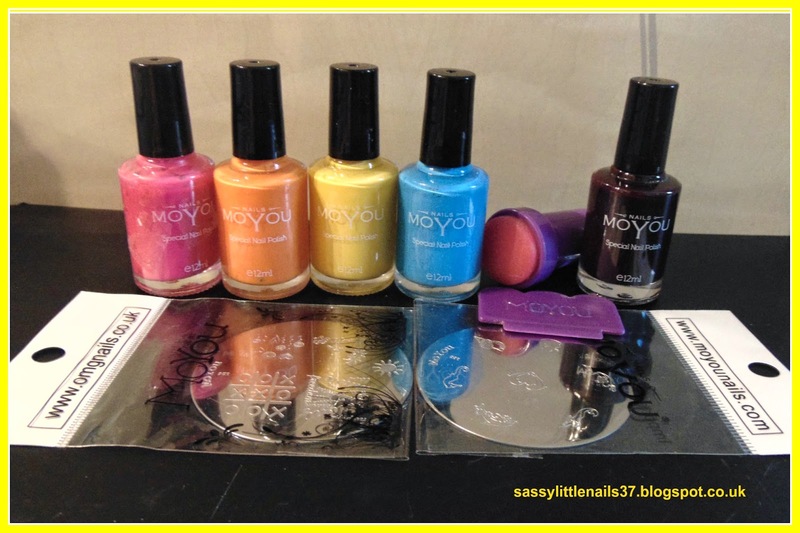 Moyou polishes in Gold and Burgundy(old). I started with 2 coats of gold polish on all nails apart from the middle finger. I painted 2 coats of Burgundy polish. I then took some gold beads and placed them on the middle finger. 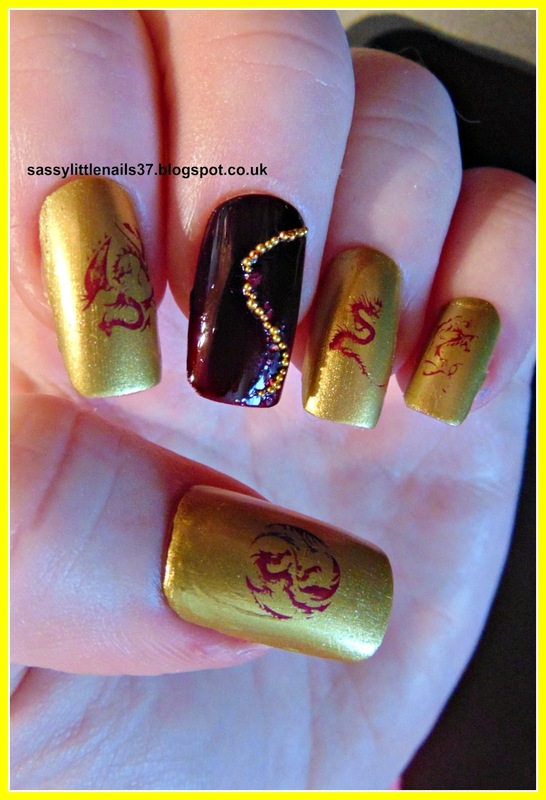 using the burgundy polish I stamped some dragons on to the nails. 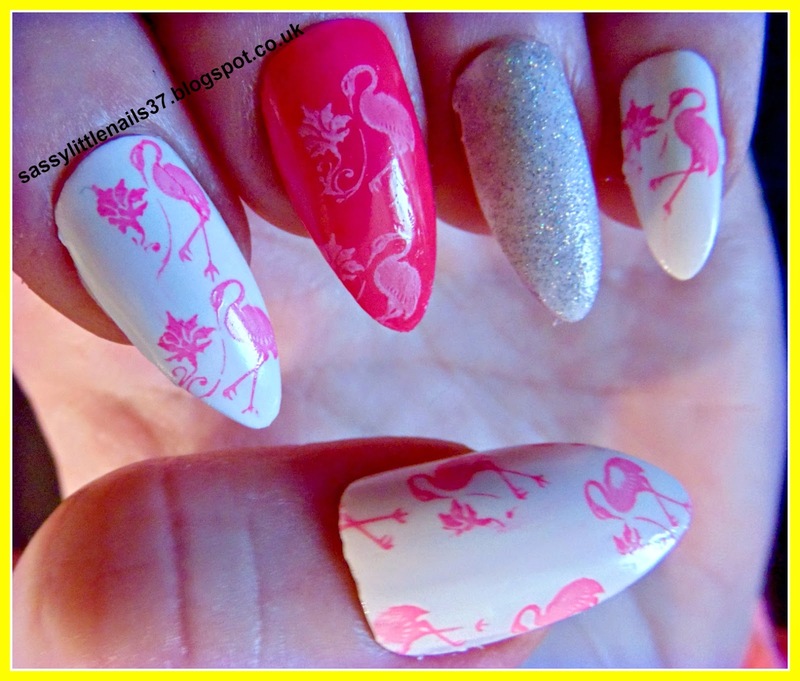 Last up is a pretty Flamingo design nailart. Catrice glitter polish in Have an ice day. I gave all the nails a white base 2 coats. I painted the middle finger using the shocking pink 2 coats. the ring finger I gave 2 coats of the glitter polish. 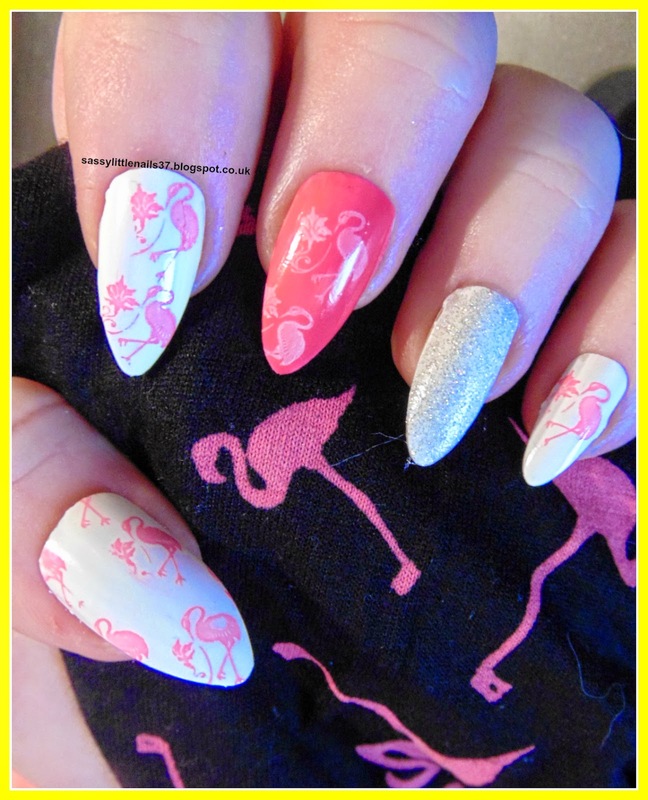 The rest of the nails I stamped using the Shocking pink. 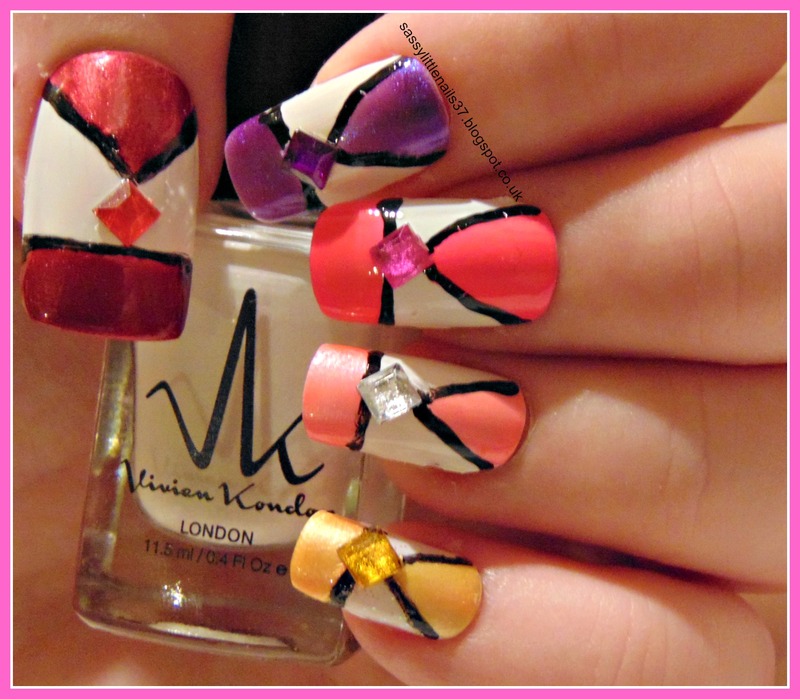 I hope you enjoyed my review and nailart designs! 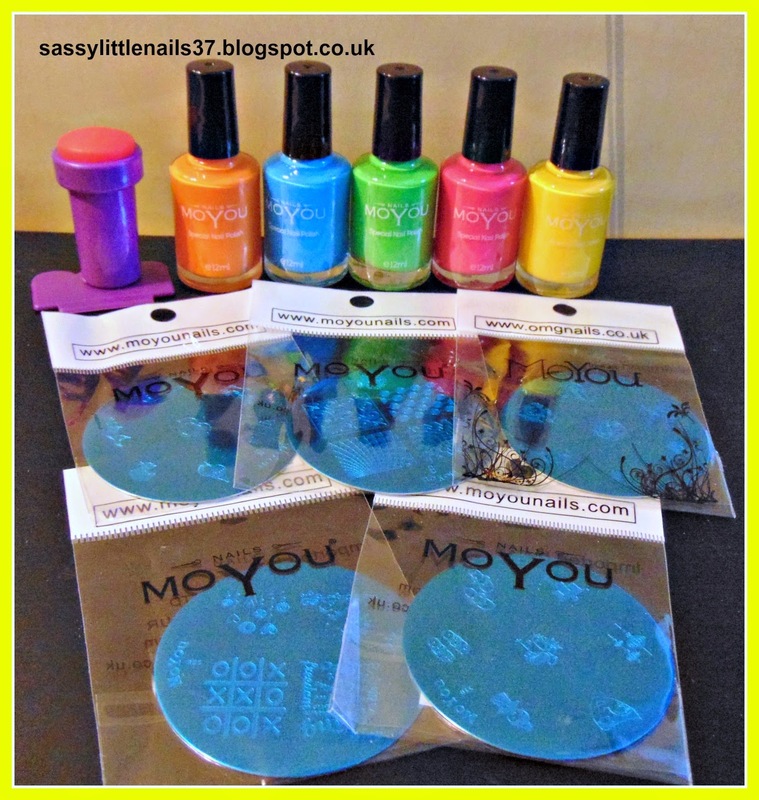 Many thanks to Moyou for sending the products for review. Yay the weekend is finally here! 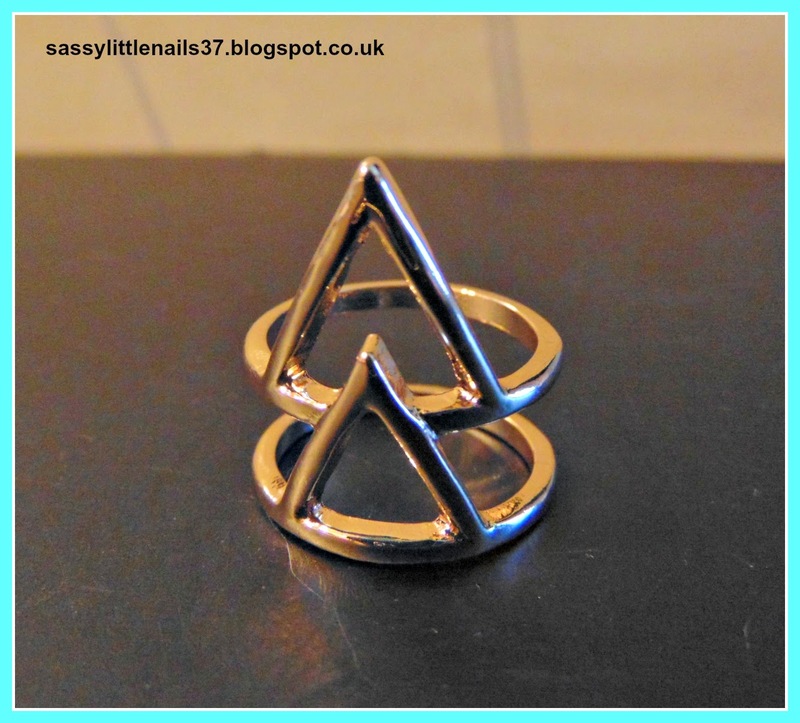 I have been busy all week but I managed to do another Oceanic Jewellers.products review blog post! 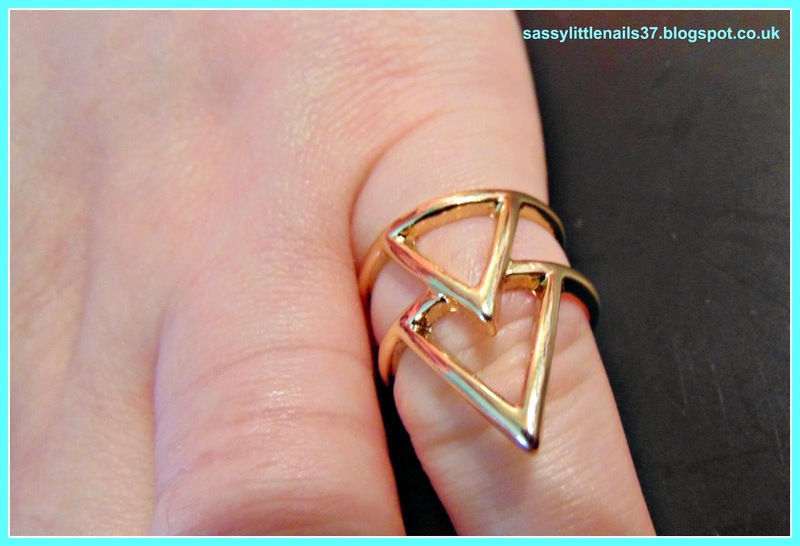 If you have not heard about Oceanic Jewellers check out my other review Here! This week I have a lovely Necklace and a pretty Bracelet. First up is this beautiful necklace. This necklace is great from summer. the two-tone metalwork of this design blossoms in this memorable statement necklace. 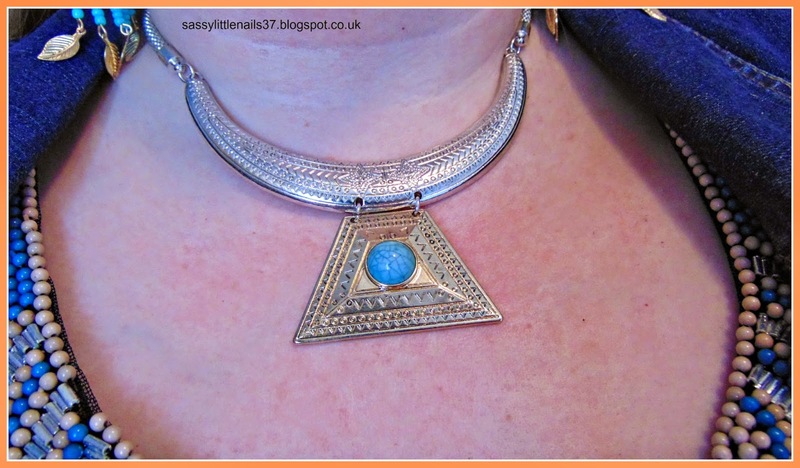 I love the way the necklace sits perfectly on the décolletage area.can be worn with a nice maxi dress or a soft blouse. I had some very nice complements while wearing this necklace. A delightful Bracelet from the Summer 2015 Collection. 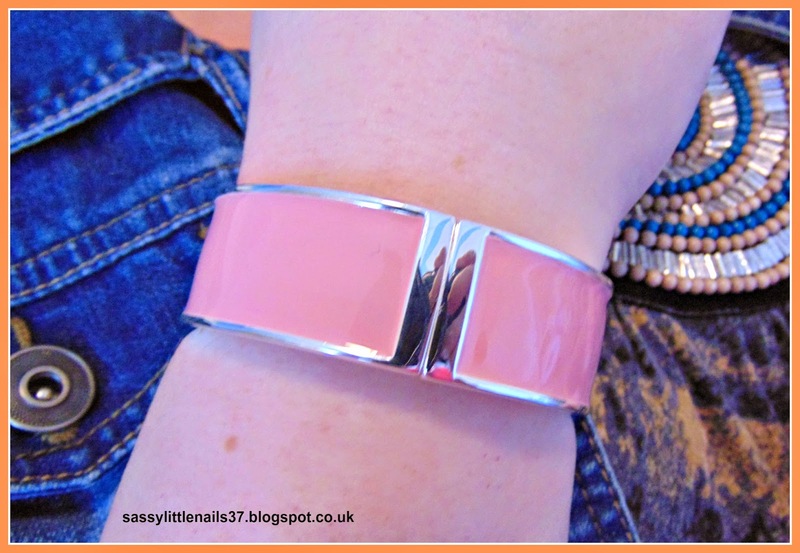 The bracelet/bangle easily fits around my wrist and fastens securely with the magnetic fastening. 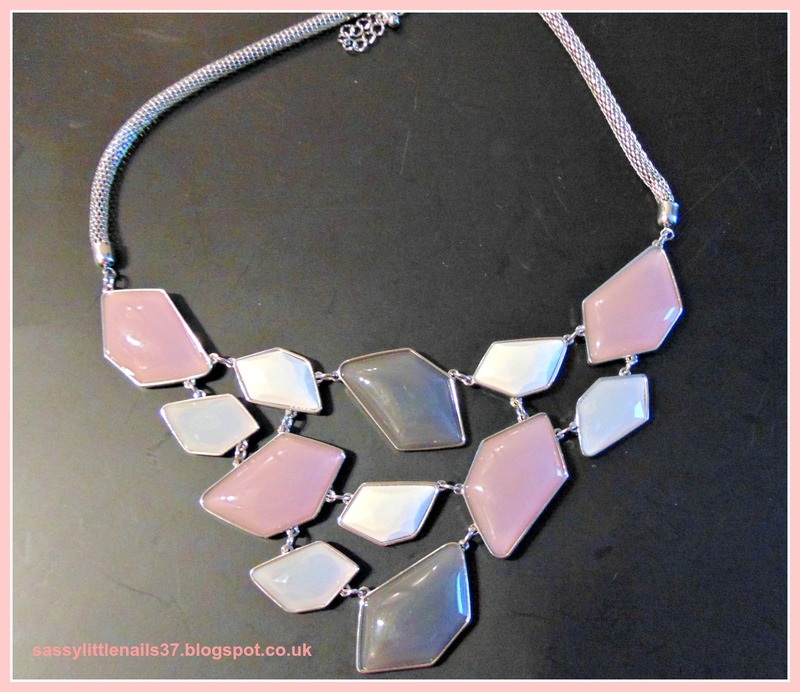 The light pink colour metal looks wonderful with any outit casual or evening wear! The bracelet did not feel to heavy around my wrist either or make my wrist go green!